So, I am really looking to buy a new Oom Paul that is between $150-$200, but cant seem to find any that really strike me. I was thinking about Brebbia's Oom Paul with a wooden cap, but just haven't pulled the trigger yet. Any other suggestions? You know the very powerful and the very stupid have one thing in common. They don’t alter their views to fit the facts. They alter the facts to fit their views. Which can be uncomfortable… if you happen to be one of the facts that needs altering. Smooth? Rustic? Rubber or lucite stem? I'd like an Oom Paul but don't think I would smoke it very much given the large bowl size and it being mostly hand-held. I was just trying to find a link for one I have, for a Forums member who lost an Oom-Paul years ago. 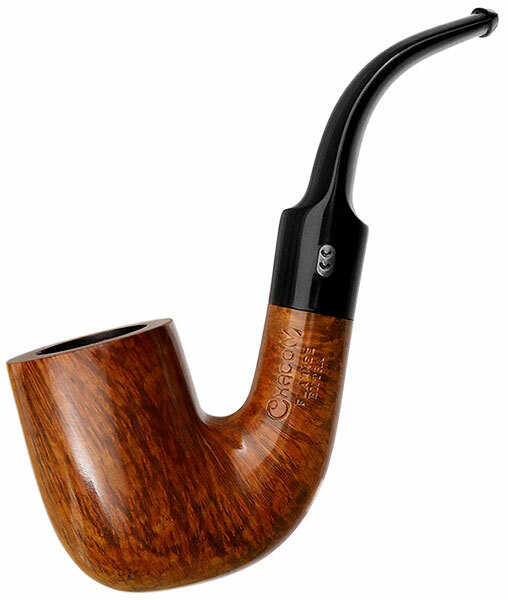 Though it seems to be a little hard to find, I recommend the Savinelli Hercules series Oom-Paul, designed without a filter and a good big bowl. Because of the very complete bend and moderate weight, it is an easy clencher with plenty of bowl. Apparently not as widely available as I supposed, but I am sure they are out there. I have scanned all the usually sites us pipe smokers go to. I'm looking for something a bit more exotic. Perhaps something old world German-esque.. even it it's not in my price range id like to look. Perhaps something old world German-esque..
Perhaps a Tyrolean pipe or a Black Forest pipe?